I was recently lucky enough to get my hands on MPCstuff.com’s new XLCD large screen modification for the MPC2500. 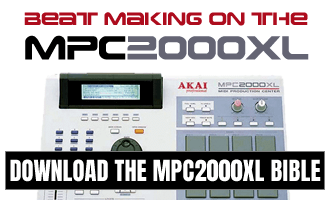 It runs a modified JJOS called the JJOS 128 which is similar to the free JJOS but with tweaks to take advantage of all the extra screen space available – the OS also has some features more inspired by the JJOS XL, so it’s a fantastic upgrade for any MPC2500 owner. Check out the video, which was made for the original 1.0 version of the OS. Since making the video there’s been some updates to the OS that adds proper large screen support for the trim screen – also the design of the actual screen has been improved so an external contrast pot is no longer required, with all contrast contol now handled the ‘usual’ JJOS way by holding down the STOP button and turning the data wheel. I’ll soon be creating another video for the MPC1000 XLCD screen and I’ll give you more details about all the new features. OS128 has audio (SAMPLE) tracks instead, check out tracks 61-64 in any sequence. 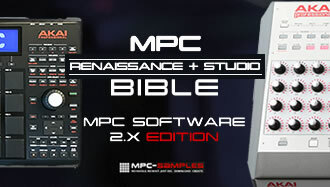 That MPC looks great. What color are those pads? Can’t tell if those are the fat clear, white, or grey. They seem to match the color of the F keys which is lighter than the standard grey. They’re standard thickness clear pads, not fat. Is that the white XLCD or blue XLCD? i got this screen on my 2500 and i love it! best spent ever! i got the blue color.